You are here: Home / Great Deals / Tassel Earrings Only $14.95! These earrings are such a pop of color against your face! 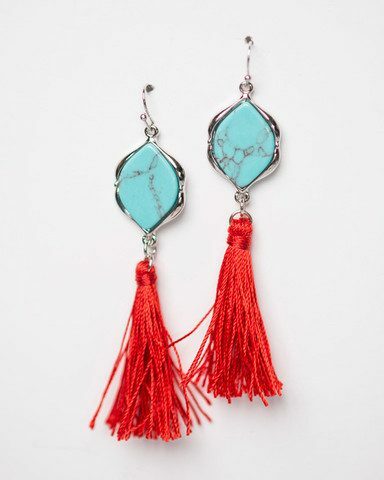 These Tassel Earrings for Only $14.95 are a great spring and summer accessory! Available in 5 color variations!